Nirvana refers to the ultimate unfettering of the mind from earthly bonds. A quietude of mind and body, a total connection and merging with one’s inner self, a release from all desire and suffering. Enlightenment. The spiritual journey of Siddhartha from crown prince to the “Enlightened One” is one of the most profound stories of transformation and salvation. 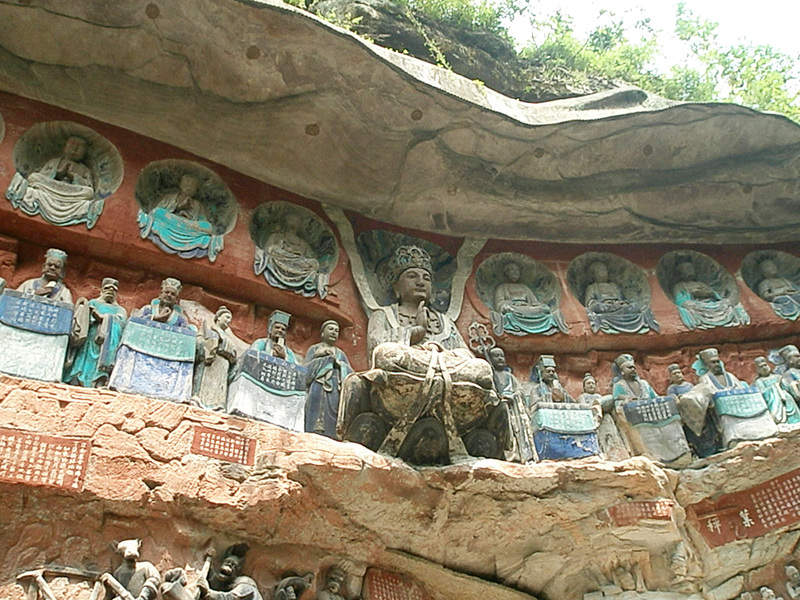 The Buddhist grottoes in Dazu document this journey and depict the Buddha’s basic tenets and the daily life of the times, in the form of a breathtaking array of rock carvings, that I chronicled earlier in my post titled More From The Chonqching Region. Below are a few more snapshots of the amazing and colourful art from this UNESCO world heritage site. An amazing place and a great post, Madhu! Well done. It really is Ledrake! Thank you. Never seen anything like this. Your photos are amazing. 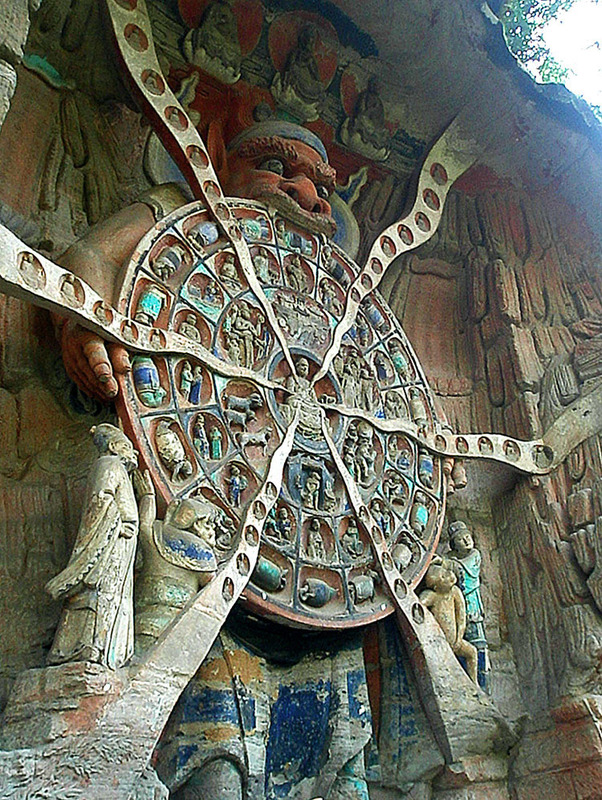 the intricacy of these carvings is incredible. Worthy of being called A World Heritage Site and preserved as such. 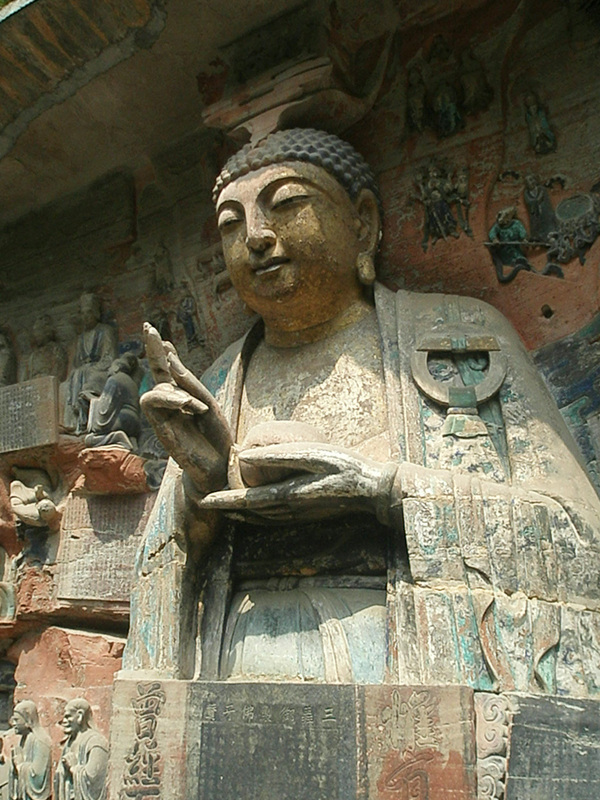 Now if we would just follow the master’s wisdom…..
Great photos of a fascinating place. 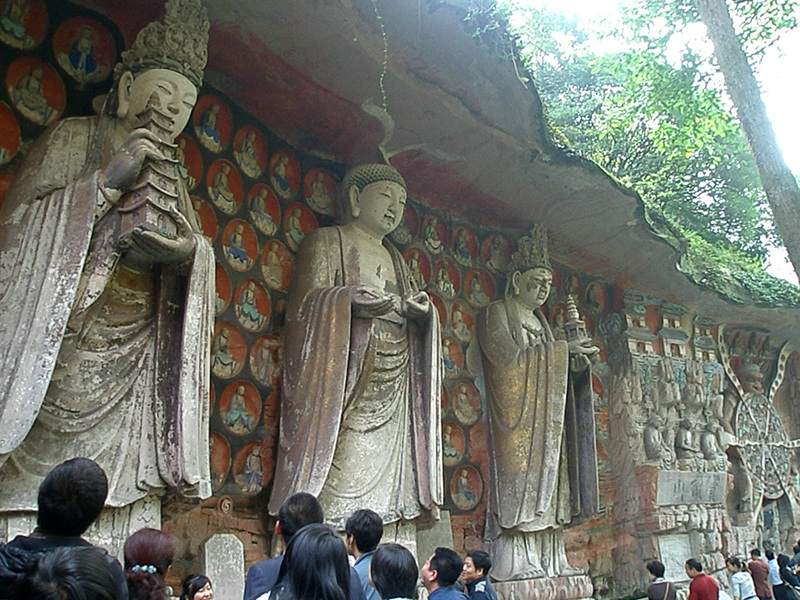 Breathtaking stone carvings! 1,230 years ago, wow! Perfect interpretation for the quotes. Thank you, Madhu! I love that first photo. The Buddha was a wise man. Lovely post Madhu. That’s my favourite too, thanks Angeline. Great pictures Madhu. Were they similar to the paintings in the Ajanta and Ellora Caves – these pictures remind me of those ancient paintings. Glad I could convey the feeling of peace, thank you Soma! Extraordinary carvings! Thank you, Madhu for such a beautiful post! Thanks a lot for sharing this beautiful place. Great post Madhu. Actually the place I was talking about is where Ashoka meditated after the Kalinga war and then later he built several chaityas, stupas and pillars to make sure that place become an important centre of Buddhist activities. Stunning photos Madhu and a great post! I am enthralled with Eastern cultures. Stunning! I enjoyed this so much, as always. Me too Zoe! Thank YOU for reading! Excellent quotes to live by. The photos, as always, are just beautiful. Thank you, Madhu. Pierced the heart with such stunning photos and essay, Madhu. 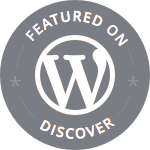 Totally love it – one of these days I should spend some time on your sphere – it is a meaningful blog – but you know this! yaara, on my recent post some ppl have become so nasty! All your photographs have touched my heart – inspiring ! I just cannot comprehend the nastiness on your blog Mashaal! I guess if one seeks ugliness, he will only see ugliness in everything. I would delete those comments, treat them as spam. Those ignorant fools are not worth breaking your head over, nor do they merit a response. And don’t think this is restricted to your faith, we have plenty such fools here as well. My dear, I did think of disapproving or spam, then I felt that some dialogue can be intelligently achieved, alas..some like to play demi-gods. And, I don’t know why I left my rant here…thanks for your love, dearest Madhu. I think one of the things that fascinates me most about art, travel and religion, is how they shape-shift and morph into something intrinsically home-grown, while still espousing the new message and artistic genre. 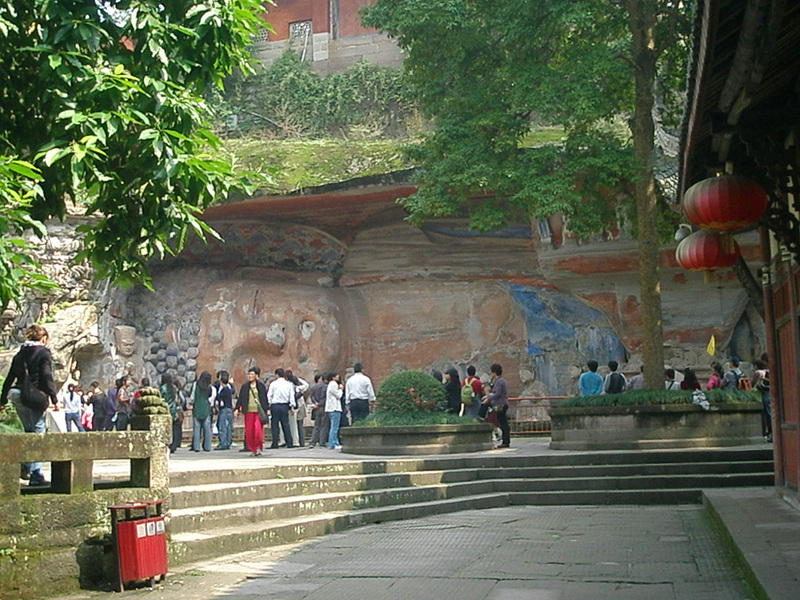 This extraordinary grotto is just mind-blowing … I’m off to “More From The Chonqching Region” to get the full treatment! I knew you would enjoy this. Yes it is fascinating how Buddhism has been adapted and morphed into home grown versions. And sad that we have retained very little of it. Early brahmin persecution to blame apparently. I think that’s the simple explanation, I think it’s more socio/political than that. My opinion is that Asoka forced his ideas of imperial Buddhism down everyone’s throats, and by siding with the new ‘sect’ – by funding temples and universities, etc. – he caused a political backlash from all the ‘upper’ casts so that after his death the new boys on the block were marginalised. it’s a fascinating subject – almost all religions through the ages have been subject to the same processes. Seems it’s human nature to adapt the new to the old, rather than relinquishing the old in favour of the new, so we end up with all sorts of religious hybridisations. You may call those snapshots, but they are more than that 🙂 Wonderful quotes to end this enlightening post! Wow, Madhu, what a stunning place! Thank you for the high quality of the photographs, which let us see and appreciate these amazing scuptures. For us stay at home tourists, these photos are a wonderful gift. Wow, amazing post! 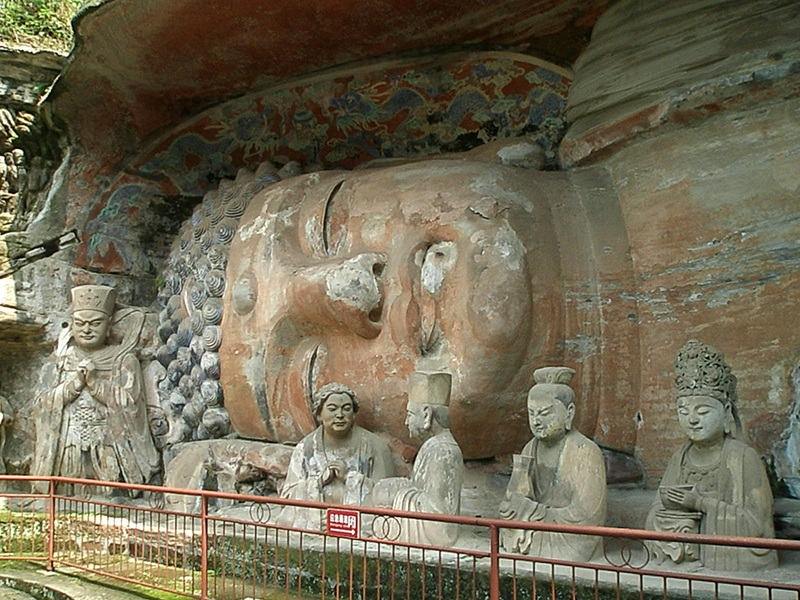 Exquisite displays and carvings, and the quotes are spot-on. Fantastic – thanks for sharing. Great photos and very interesting, Madhu. Hope all is well with you and yours… The power outages sound terrible. As always, the pictoral renditions of your posts take my breath away and are some of the best I have seen, Madhu. I loved your prologue on Nirvana. As a friend says, ” This is akin to being in resonance.” May I therefore point you and others to my recent post on , What is out of Resonance and how do I restore it?” Maybe you would discover a connection…..
Im looking for a little nirvana…Maybe I should visit? What amazing artwork/architecture. Looks like an awesome place, great post thanks. love me a great buddha shot,and these all certainly qualify!